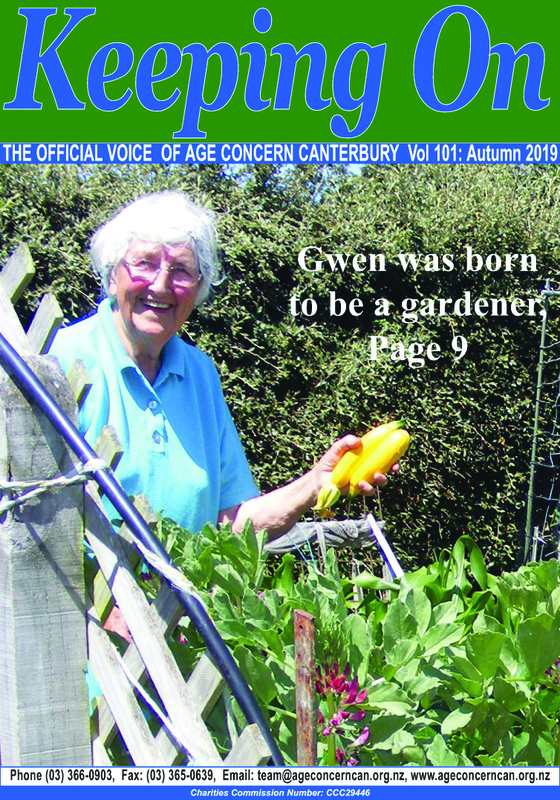 Age Concern Canterbury works to achieve wellbeing, rights, respect and dignity for older people. If there is a situation causing you concern, we are available for, advice, advocacy, assistance, referral and support. The Elder Abuse and Neglect Prevention Service aims to prevent abuse by providing, support, advocacy and education. The Accredited Visiting Service offers friendship and companionship with a weekly visit from a volunteer. Our Social Outings Service helps reduce the social isolation that can occur as we mature and our circumstances change. Home support and maintenance services available to over 65s. These include general cleaning, gardening, Hairdressing, and many more. Our Earthquake Support Coordinator is available to help older people who are facing ongoing issues from the Canterbury earthquakes. Age Concern runs a variety of courses and groups that assist older people to safely maintain their independence and social connection. 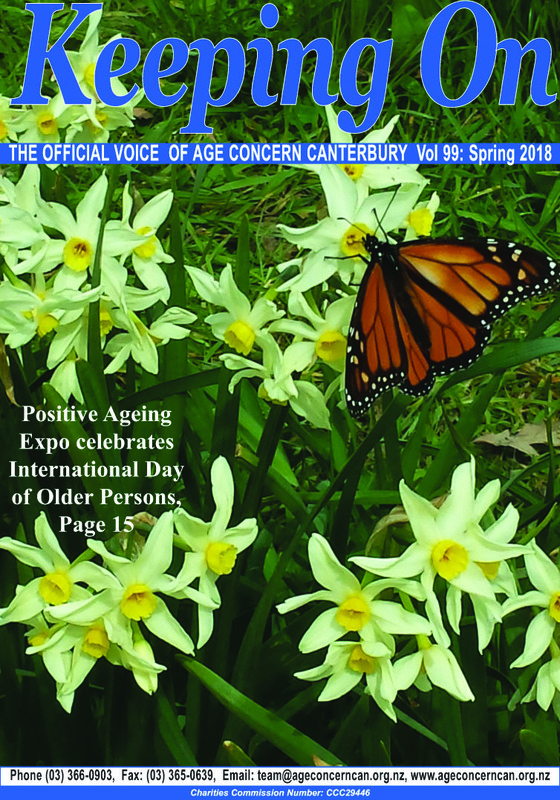 An annual Age Concern Expo is held each year and other activities, workshops, meetings and events are held regularly throughout Canterbury. Retirement is much tougher if you don’t own your house. 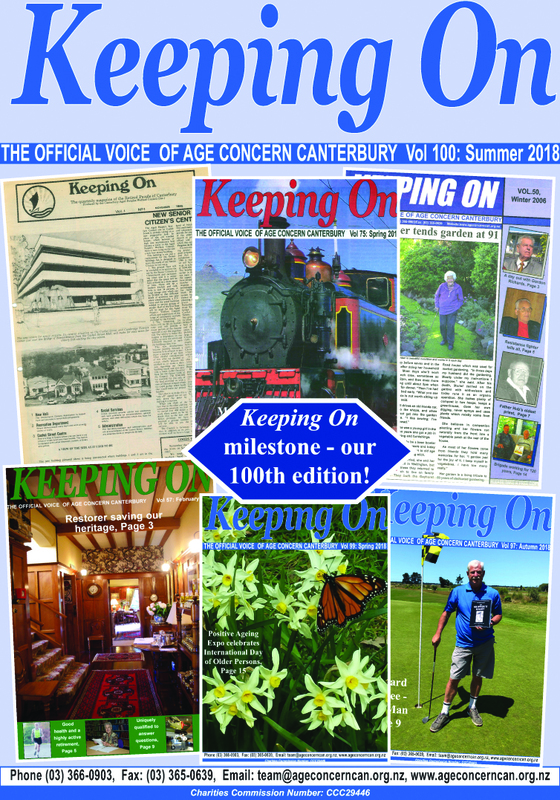 Keeping On is a free quarterly publication produced by Age Concern Canterbury. It contains a wide range of articles on subjects and issues of interest to older people. Keeping On is distributed widely in the community. Look for your copy at your local library, shopping mall, medical centre or club.